This torch uses of a 3X/ 12X/ 14X XM-L T6 LED, producing very bright beam of light. Output bright can come to above 1000/ 2000/ 2500 lumens [lm]. It is perfect for walking, camping, night riding, wrecker, explore, military, home lighting to use. Each flashlight is individually tested, it will arrive in good working condition. MODULARIZATION DESIGN - Easy Use and Care. Each Part can be Taken apart. Easy replacement or DIY. Save money to refit or upgrade for enthusiasts. HEAVY DUTY BUILT, VERY STURDY - Shock-Proof, Water Resistant, Anti-abrasive, Skid proof, High Quality Aluminium Alloy air-craft level, Sturdy Constructure. Precise Numerical Control Cutting Technology Used. Ultra clear Tempered glass Lens, aluminum light cup and smooth reflector, providing a more concentrated light beam. 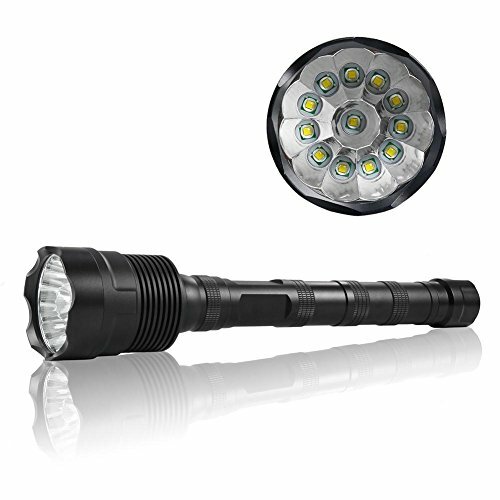 WHAT YOU GET: High-quality 2000 Lm T6 Flashlight and Worry-free after-sales service. If you have any questions about this product by JJFly, contact us by completing and submitting the form below. If you are looking for a specif part number, please include it with your message.